A $9.25 million shopping center sale in Greenville. New Publix grocery stores in Kill Devil Hills and High Point. A 200-acre industrial/office park next to Fort Bragg. Those are a few of the projects outside the Cape Fear region involving commercial real estate firms based in Wilmington. Some brokers branch out to other markets in North Carolina, and in certain cases other states, either because clients have guided them there or as part of a growth strategy. 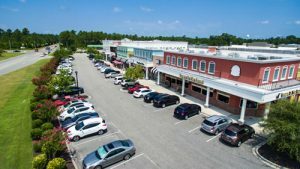 clients that have appreciated what we’ve done for them or actually just by way of reputation or word of mouth have asked us to go and do assignments outside the market,” said Paul Loukas, a broker with Cape Fear Commercial. CFC, founded in Wilmington 15 years ago by Brian Eckel and Vin Wells, opened an office in Fayetteville last year, and is marketing the 200- acre Military Business Park there. 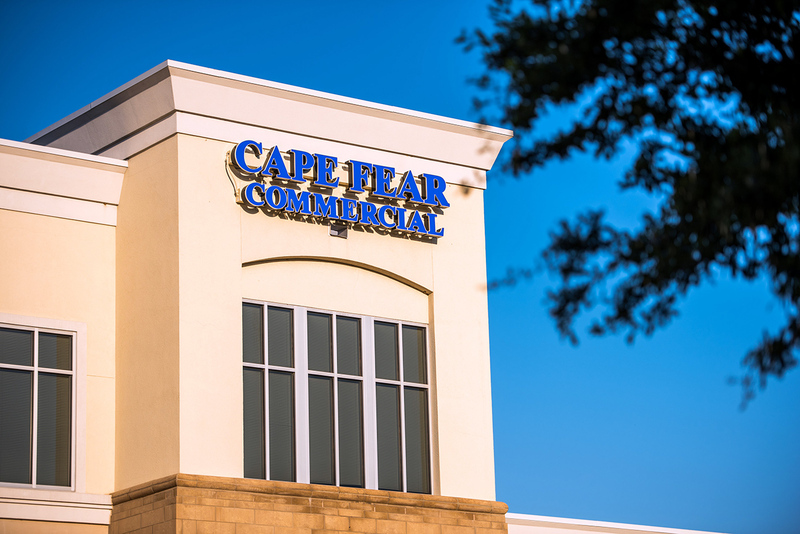 With CFC’s development partner, GHK Cape Fear Development, the firm recently broke ground on its third Publix grocery store in the state. The more than 2-year-old, Wilmington- based firm Eastern Carolinas Commercial Real Estate, which represented the seller and the buyer in a $9.25 million Harris Teeter-anchored shopping center purchase in Greenville, was founded by members of the Silivanch family with expansion in mind. He was also using the word “small” not just in terms of developable land and a decreasing inventory of local commercial space, but also because there are more than 300 licensed commercial brokers in the Wilmington area, according to the N.C. Commercial Multiple Listing Service. Meanwhile, towns like New Bern as many professionals for potential clients to choose from, Silivanch said. “There are fewer commercial guys on the ground in those cities. They need the expertise,” he said. Nicholas Silivanch, partner and vice president of retail leasing and sales, said in the past 12 months, ECCRE has expanded its reach into 10 markets in the eastern portion of North Carolina with leasing, sales, site selection and Real Estate Asset Analysis (REAA) services. Nicholas Silivanch said through REAA, his firm is helping investors, some of whom have multiple properties in different communities throughout the state, decide when they want to sell their investment properties or if they should hang on to them longer. They’re also taking into account what some consider the inevitability of another dip in the economy. “It’s not a matter of if but when,” Nicholas Silivanch said. ECCRE has hired three new brokers, who have been asked to decide in what areas, including geographic areas outside the tri-county region, do they want to become experts, Garry Silivanch said. Getting to know an outside market can be crucial to working with clients in areas outside the Cape Fear area, brokers say, but it also boosts the potential for outside deals to have experienced success in Wilmington first. 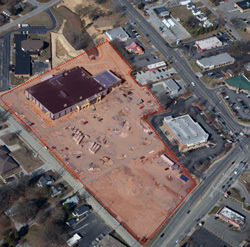 GHK and CFC developed Wilmington’s first Publix grocery store, at 716 Bragg Drive, which opened in August, and are building two more Publix stores in North Carolina, in High Point (contributed construction photo shown below) and in Kill Devil Hills. The partnership has also built 25 Walgreens drug stores throughout the Carolinas, including four in the Wilmington area. ECCRE and CFC aren’t the only Wilmington-grown commercial real estate firms working on projects outside of New Hanover, Brunswick and Pender counties. In another example, Mark Johnson and Janet Rose, brokers with Coldwell Banker Commercial SunCoast, last year negotiated the sale of Charleston Place, a 120-unit apartment complex at 400 Charleston Lane in Jacksonville, on behalf of the seller, Charleston Place LLC. The complex was sold for $7.6 million to First Charlotte Escrow Corporation Q1Four SRC Charleston Place LLC, a Charlotte-based multifamily investor group that owns about 15,000 apartment units across the Southeast. Charleston Place was constructed in 2007 and is comprised of six buildings housing a mix of one-, two- and three-bedroom apartments. Loukas is working on the sale of an apartment community in Charlotte, and Eckel said multi-family is a sector that can frequently take CFC to other markets. “The demand to buy stabilized, well-performing properties is still as strong as it ever was,” Loukas said, though development of new apartments has slowed. Brokers say they are hopeful that the market for commercial real estate will continue to be strong, in the Wilmington area and in the other markets where they have clients, in the years to come. Read this story by Cece Nunn on the Greater Wilmington Business Journal’s website.